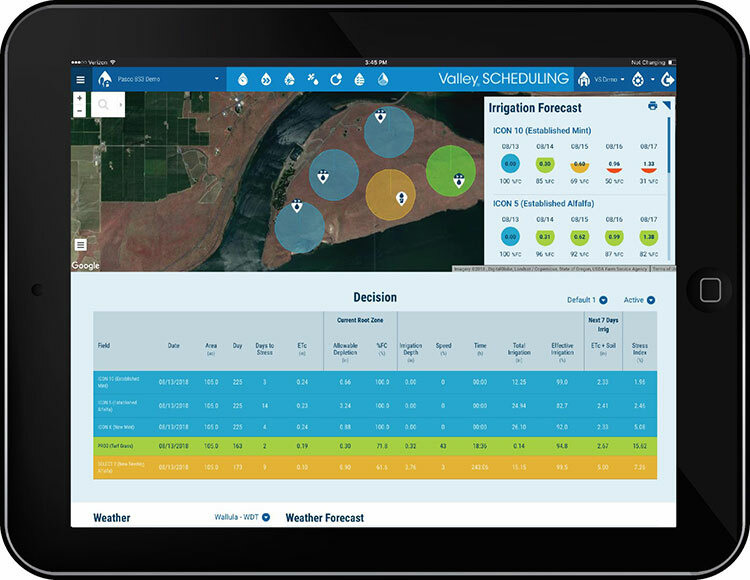 Valley® Irrigation is proud to announce the North American release of its advanced irrigation management software to help growers make better irrigation decisions: Valley Scheduling. 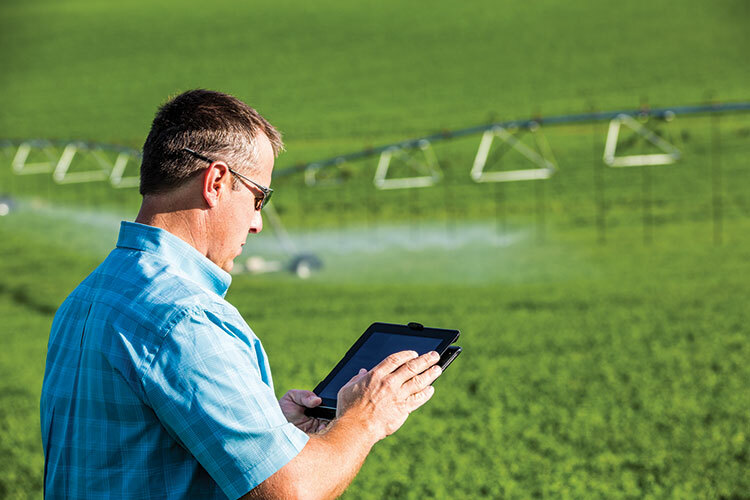 Valley Scheduling, coupled with the services of an agronomy expert, provides easy-to-understand irrigation recommendations based on field-proven science. Just enter farm information, preferences and field data such as soil, crop type, development stage and weather information source, and our industry-best software compiles the data and shows how much water crops need in an intuitive map or list view. Is simple to use – Read the easy-to-understand recommendations to decide a schedule for smart irrigation application. Offers complete data and convenient access, with a choice of intuitive views accessible anywhere via your smartphone, tablet or desktop computer. Saves time – Eliminates daily visits to the field and complex calculations you used to have to do yourself. Increases yield potential and profitability – Growers use less energy and fewer resources by watering and fertigating the right amount in the right places and at the right times. Improves crop health and reduces disease – Growers can monitor potential crop stress due to over- or under-watering, and increase production and yield quality. Offers customizable options that other brands do not – Select either modeled (based on a proprietary algorithm) or measured (by hardware in the field) data. Is flexible – can be used with multiple soil types and irrigation methods (pivots, linears, drip).